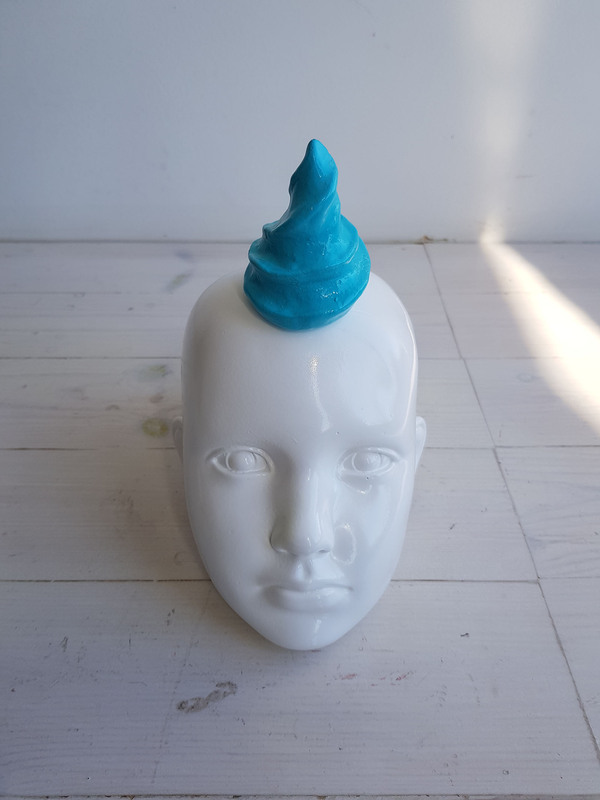 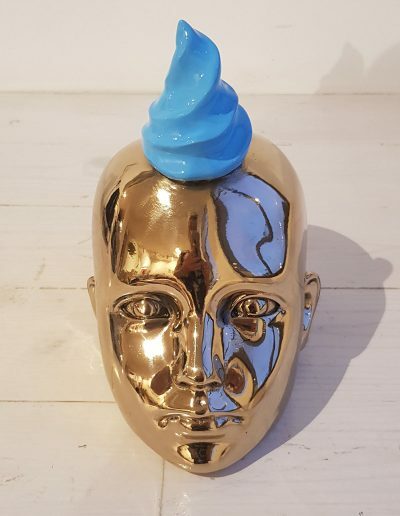 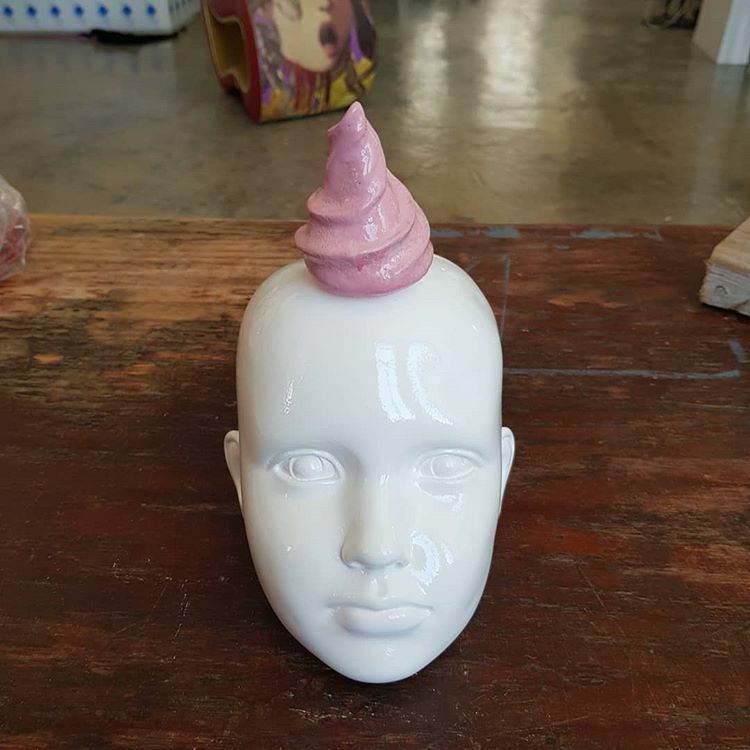 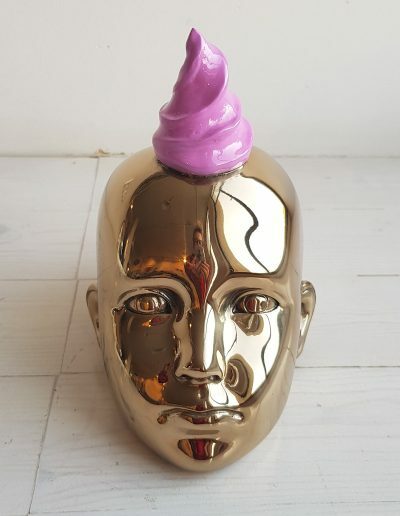 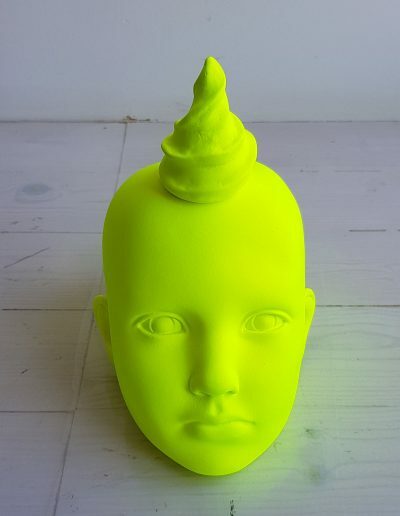 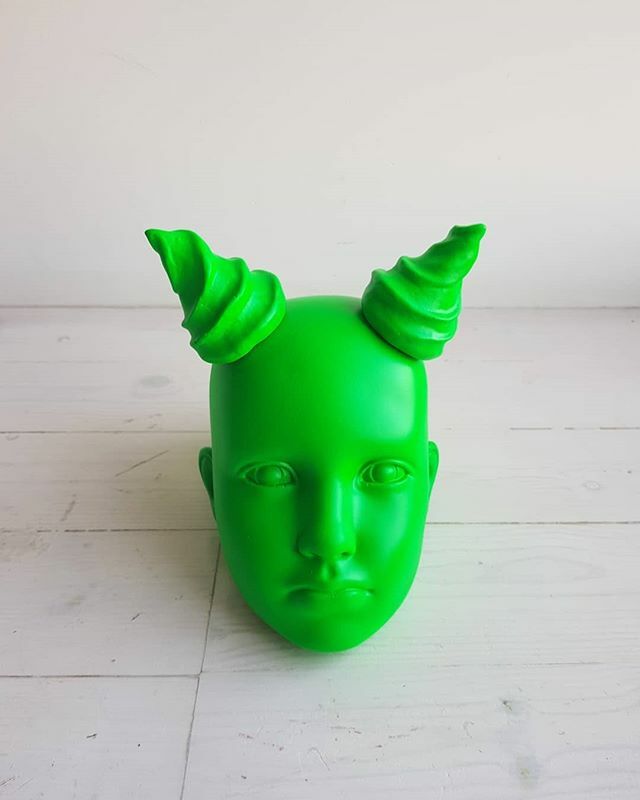 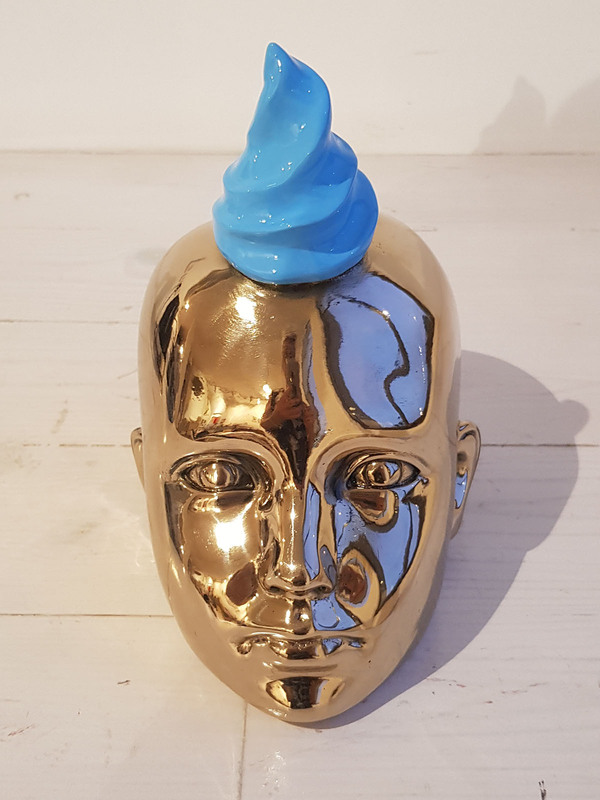 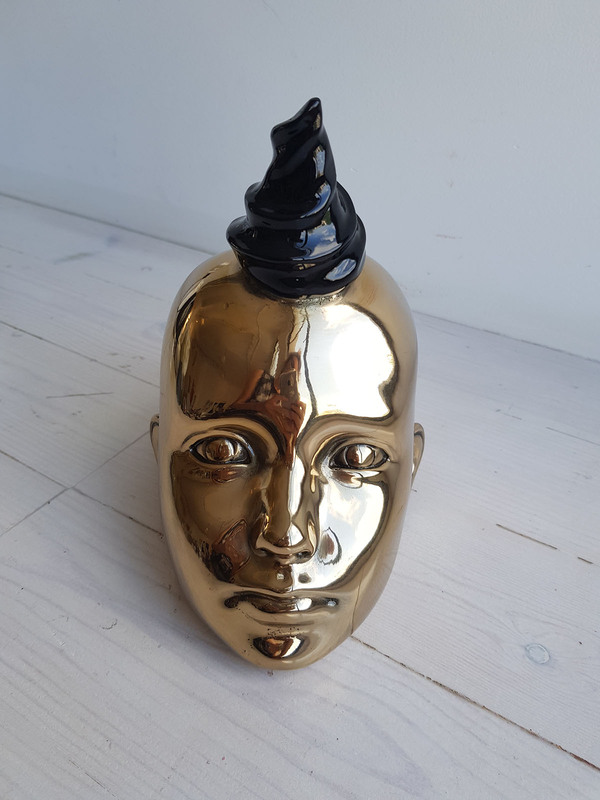 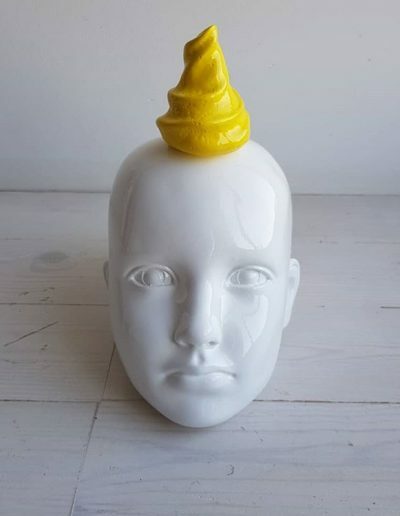 Artist Liora Kanterewicz uses polymer and bronze casing to construct a series of ice cream heads. 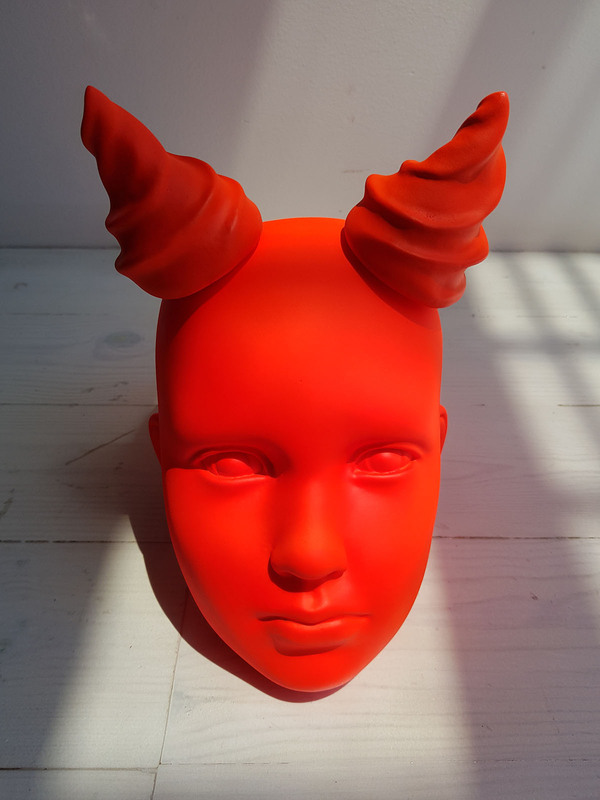 Swirling horns protrude from these skulls like a unicorn or a demon, haunting the viewer with their silent power. 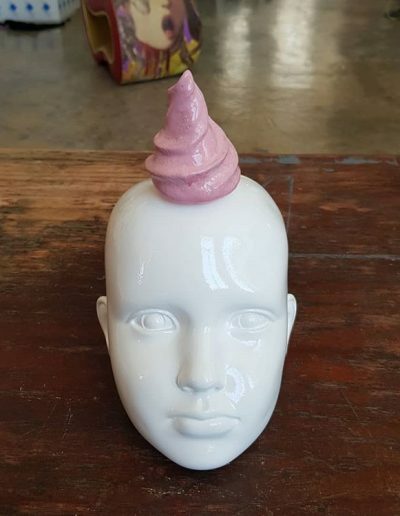 But from a different perspective, these figures look more like children hoping to enjoy a sugary treat. Playful and spare, the work speaks to our search for pleasure and the beauty of indulging in the moment. 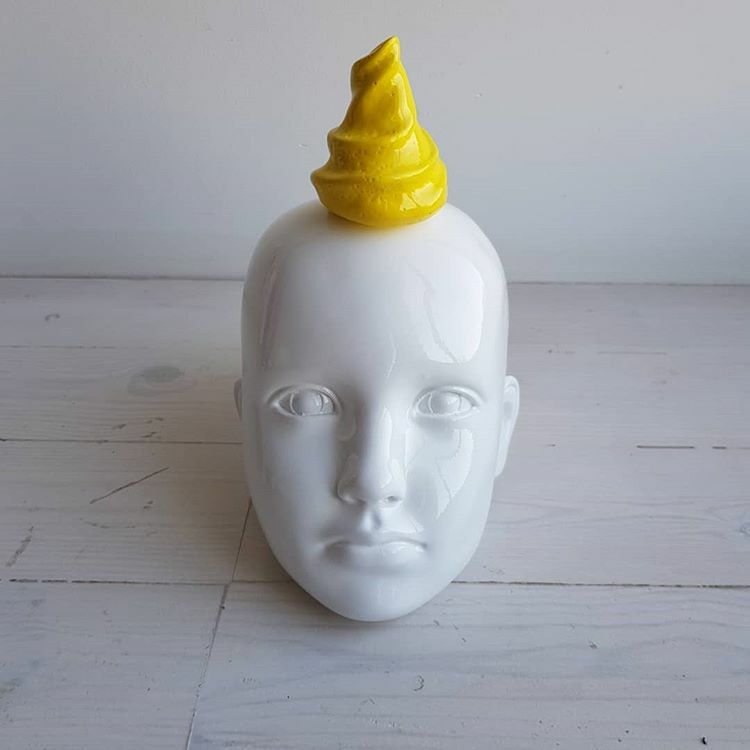 Kanterewicz reflects on her own experiences as she tries to reassure the viewer that life isn’t always as bleak and serious as it seems.